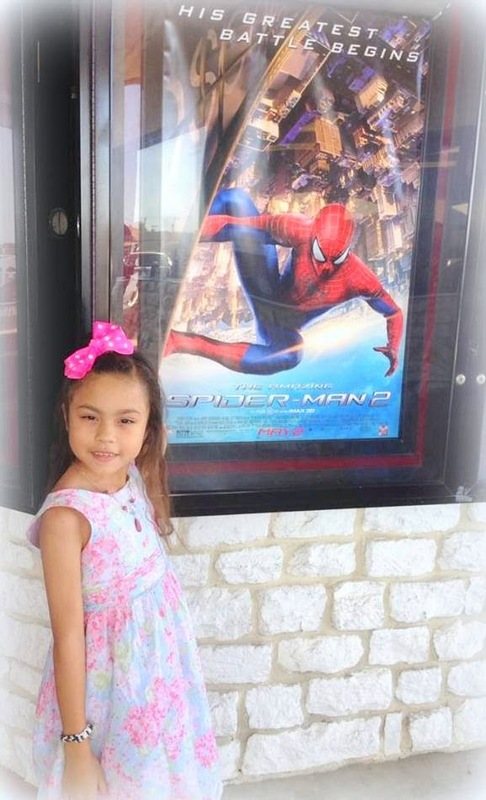 A couple of weeks ago my family and I went to see the Amazing Spider Man 2. I thought the movie was great! It's way better than the Spider Man movies I've ever seen. Amazing actors and awesome special effects. I don't want to share any spoilers or ruin any story but it's definitely worth watching for. I believe that you should watch this movie. If you saw the first one and loved it, well you'll still gonna love this for sure! We've always known that Spider-Man's most important conflict has been within himself: the struggle between the ordinary obligations of Peter Parker and the extraordinary responsibilities of Spider-Man. But in The Amazing Spider-Man 2, Peter Parker finds that his greatest battle is about to begin. It's great to be Spider-Man (Andrew Garfield). For Peter Parker, there's no feeling quite like swinging between skyscrapers, embracing being the hero, and spending time with Gwen (Emma Stone). But being Spider-Man comes at a price: only Spider-Man can protect his fellow New Yorkers from the formidable villains that threaten the city. With the emergence of Electro (Jamie Foxx), Peter must confront a foe far more powerful than he. And as his old friend, Harry Osborn (Dane DeHaan), returns, Peter comes to realize that all of his enemies have one thing in common: Oscorp.